Sweet and tart, this apple cider vinegar raw green smoothie is an immunity boosting blend of strawberries and cider. 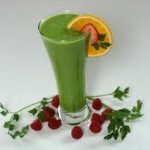 This is a delicious, refreshing, immune boosting power punch raw green smoothie. Be aware: apple cider vinegar comes in more than one formulation — distilled and raw. This recipe, as all my raw green smoothie recipes, calls for raw apple cider vinegar. Before I go any further about the yummy Sweet and Tart Apple Cider Vinegar Raw Green Smoothie recipe, we need to talk about vinegar. Distilled versus raw, what is the difference? Without boring you (or myself) about the science being the distillation process, or any other big, complex, scientific topic, I won’t elaborate too much about distilled vinegar. 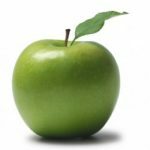 For my raw green smoothie recipes, I need to convey that I distilled vinegar is processed and lacking in any substantial nutritional benefit. Raw, unpasteurized apple cider vinegar has a host of healthy elements: vitamins, beneficial enzymes, and amino acids. 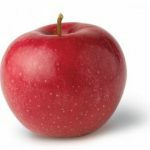 Raw apple cider vinegar has been a part of holistic medicine for thousands of years. It’s known to help manage blood sugar levels, promote weight loss, prevent sore throats and sinus infections, as well as many other ailments. 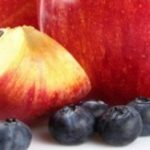 Raw, unfiltered apple cider vinegar — this is the apple cider vinegar you want to add to raw green smoothie recipes for a flavor shot of tartness. I keep a bottle in my pantry anytime I am craving a sweet-tart flavor. 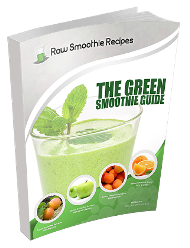 It adds a crisp, refreshing element to any raw green smoothie recipe. For my Sweet and Tart Apple Cider Vinegar Raw Green Smoothie, I mix strawberries, mint, banana, and apple cider vinegar to create a yummy raw green smoothie. 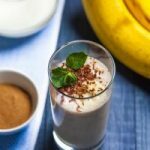 This blend of flavors satisfies my taste buds when I crave smooth, tart, sweet and creamy. I recommended this recipe to a friend as a replacement for her guilty pleasure dessert. Let me know what you think about this raw green smoothie on my Facebook page. Chop and freeze strawberries and banana in advance. 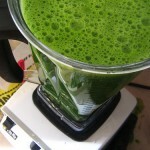 This makes the raw green smoothie a thicker consistency.